The hair on everyone’s scalp grows in small groupings called follicular units. The normal adult has follicular units consisting of 1-5 hair follicles. With the CIT technique Dr. Cole can isolate grafts or follicular units that contain higher hair counts. This is advantageous when working behind the frontal hairline, in the top and in the crown region of the scalp because a single graft containing more hair provides more coverage. 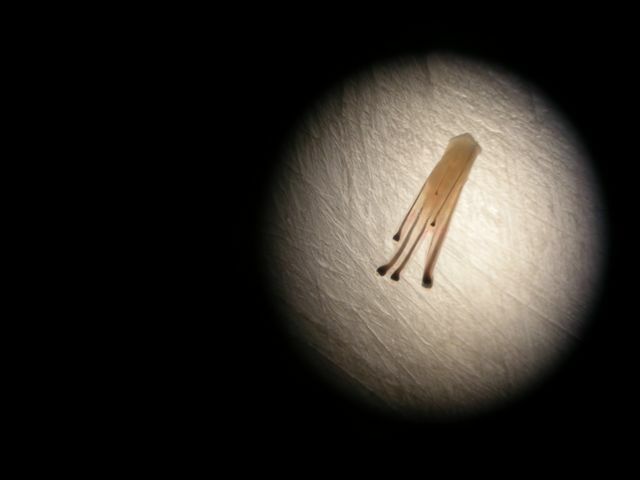 Last week we had a patient that had many grafts that contained high hair counts. Take a look at these groupings and notice the one’s with 7 hair follicles! would it not look abnormal to have such a dense cluster of hair? This is quite amazing is a shame is not a more frequent occurence. » would it not look abnormal to have such a dense cluster of hair? i think in a situation like this where the patient’s hair is very fine, it is probably a good thing that he has large groups because it will help make up for the finer hair. in this instance, i would place this natural group well behind the hairline to add density to his transplant without breaking the group up. it is a natural follicular group and the hair is fine. there is no reason to bust the group up, but of course almost all strip based practices will break them into a number of different grafts of smaller size that cost the patient more money and produce a result that is not as good. In addition, sometimes when you break up natural follicular groups, the yield is not as good. » groups, the yield is not as good. Strip clinics cut the follicles?So when we hear a megasession it means that they cut follicular groupings into smaller grafts? That means we will have to pay more for the same number of hair? Some of the arguments that come out of your clinic are so transparently slanted that it is cringe worthy. There is no reason that a strip clinic would cut larger Fus anymore than you would with FUE. The last argument that your cliniic put in favour of FUE was that you (coles clinic) get larger number of folliular units containing more hair than strip clinics and that is an advantage. Then why would a strip clinic want less hair in an FU. This is just a cheap smear tactic on another technique. » » not as good. » an FU. This is just a cheap smear tactic on another technique. I totally agree with marco. Maybe that’s what their clinic used to do when they offered strip procedures until a few years back!! Actually you said “almost all”. There is a big difference between “some” and “almost all”. Just sayin. but why are the bulbs at different depths? Are they at a different stage of the growth cycle? And I see that despite of these different depths, you managed to dig each follicle out at the correct depth. I mean, the extraction depth is not unique for the whole graft, but it has an irregular depth, matching the depth of the bulbs. How do you do that? Maybe pulling them out? 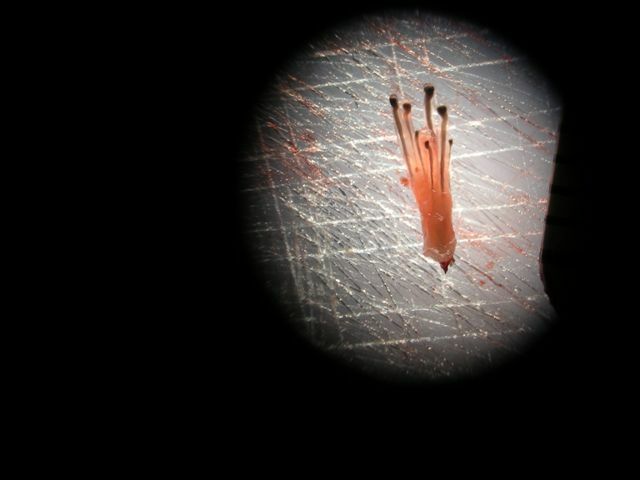 When you look at the microscope, are the dermal papillas attached to the bulbs, or do they remain in the donor site? » scalp because a single graft containing more hair provides more coverage. I am into photography and stuff, I wonder how did you manage to take these photos? Were the photos taken by a regular camera or were they taken by a miscroscope that has a built-in camera? » miscroscope that has a built-in camera? They were actually just taken with a digital camera held up to the lens of a microscope. I don’t think that forhair was trying to smear strip clinics with his assertion. He was just pointing out one of the limitations of strip and a reason why he believes that FUE/CIT is a superior procedure. If anything, it is FUE doctors and clinics that are frequently smeared by strip physicians and advocates who perpetuate the myths that FUE produces a lower yield, has a higher transection rate and is only indicated for very small procedures. Most of the FUE detractors have very limited experience with the procedure- how can you bash something that you haven’t practiced and don’t truly understand? On the other hand, Dr. Cole has performed over 8,000 strip procedures in his career. He believes there is a valuable place for strip in this field but, after years of experience with both methods, he believes that FUE is a fundamentally superior hair transplantation method. As clinics generally charge by the graft (not the number of hairs actually implanted), there is definitely an incentive for clinics to divide naturally occurring follicular grouping into additional grafts. With CIT, Dr. Cole averages a calculated density of 2.93 hairs per graft; the calculated density is only 2.00 hairs per graft with strip. This means that, in opting for a CIT procedure, the patient is getting almost one additional hair per graft than they would otherwise- about 30% more for what they pay. This difference in calculated density can partially be attributed to the fact that FUE physicians can cherry-pick the largest follicular units from a larger expanse than just the excised strip. However, it’s also likely that strip clinics are further subdividing follicular units when they dissect the strip. This doesn’t mean that strip doctors are necessarily trying to ‘cheat’ patients- it’s more likely that the technicians who actually cut the grafts (very rarely do strip doctors prepare the grafts themselves) are not properly trained. » and “almost all”. Just sayin. I suppose Dr. Cole had to switch to a larger punch in order to take out a 7 hair graft? » » an FU. This is just a cheap smear tactic on another technique. » follicular units from a larger expanse than just the excised strip. » prepare the grafts themselves) are not properly trained. Only valid point: FUE practitioner can cherry pick multiple hair grafts, so that they can give more multi-hair grafts in a procedure. (1)	Strip clinics have financial incentive to split the grafts, whereas FUE practitioners are saints, they will never split the grafts. (2)	Strip graft dissecting technicians are not properly trained. When both FUE, and strip clinics can properly train the technicians to insert the grafts (except perhaps dr.woods clinic), strip clinics for some reason cannot train their technicians to do the dissection! “FUE tend to produce better results the strip” Wow, what a statement, based scientific research and published results! Forhair’s intention might not be to slander strip, and his/her personal preference might be FUE. However, you twist it or back it, the bottomline is, the statement was loosely worded without careful thought. It’s ok if it’s from an independent poster, but if it comes from someone who is representing a Clinic, more discretion and thought is required-- a prospective patient might construe it as a fact! Strip is what it sounds like. They cut a huge strip and leave huge ugly scars in the back of your head. This is an old, outdated procedure. It has been around since the 80’s. Do you still wear you clothes from the 80’s? Well there is your answer. This procedure should be banned! Let the strip clinics guarantee that your scar will heal properly and show you what it will look like healed- Guarantee it! Also I have repeatedly asked the strip clinics to show the donor area post op and 3-5 years down the line. I want to see hundreds of those photos not just one or 2. Strip strips your head and leaves it disfigured- PERIOD!! » strips your head and leaves it disfigured- PERIOD!! » » » an FU. This is just a cheap smear tactic on another technique. » » follicular units from a larger expanse than just the excised strip. » » prepare the grafts themselves) are not properly trained. » so that they can give more multi-hair grafts in a procedure. » FUE practitioners are saints, they will never split the grafts. » cannot train their technicians to do the dissection! » statement, based scientific research and published results! » bottomline is, the statement was loosely worded without careful thought. » prospective patient might construe it as a fact!----------------------------------------------------------------------------------Is this paragraph above not talking about strip. It is relevant then.